Barberry. 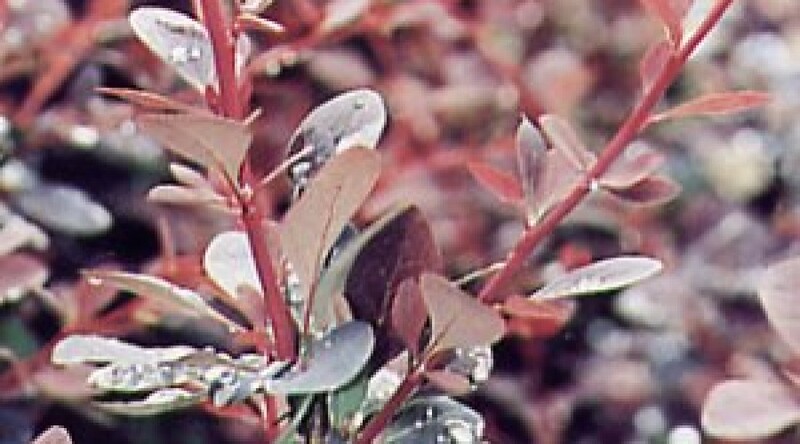 Tall shrub with dark purple-red leaves. Pale yellow red-tinged flowers are followed by glossy red fruit. Excellent autumn colour. Height 1.6m. Spread 1.2m. Flower colour Yellow. Flowers from April to May. Fruit colour Red. Fruits from June Deciduous. Foliage colour Red, Purple.